To encourage students from 12 to 18 years old to learn English, the British Council together with Lao Dong Newspaper officially launched an online English competition for students across Vietnam. The competition is supported by the Ministry of Education and Training. This competition is part of the Premier Skills project (Premier Skills) organized by the Premier League (Premier League) and the British Council worldwide. This two-month competition consists of 4 separate test sessions, each session lasts two weeks. The awards will go to the top 5 participants in each session. 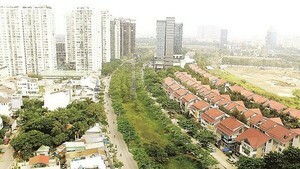 The competition aims to encourage Vietnamese students across the country to study English. The contestants will have to complete an online test, which consists of 4 tasks: three reading tasks and a writing task (a paragraph under 200 words). Every two weeks, eight of the best contestants will go through an interview round to choose the top five. Contestants will have to submit personal information: Full name, DOB, current institute, contact address, email, contact numbers, and ID number. 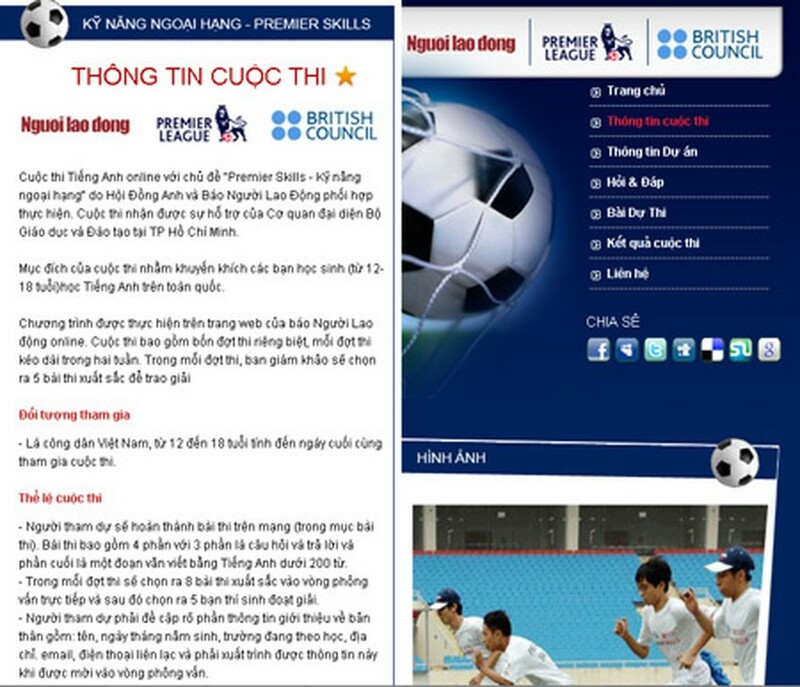 Premier Skills Project is a collaborative project of the Premier League and the British Council, using football and the love of the Premier League as an effective tool to develop community sport as well as English skills. Taking advantage of the reputations and network activities of the two organizations, the project aims to build skills for many different groups around the world. The project was successfully tested in Egypt and India in 2007 and 2008. Later, the first phase of the project was successfully implemented in Africa (Botswana, Cameroon, Kenya, Malawi, Morocco, Senegal, Sudan, Tunisia and Uganda), India (New Delhi, Kolkata, Goa and Kerala ) and Asia (China, Malaysia, Korea and Vietnam).